This striking debut novel by Spokane writer S.M. 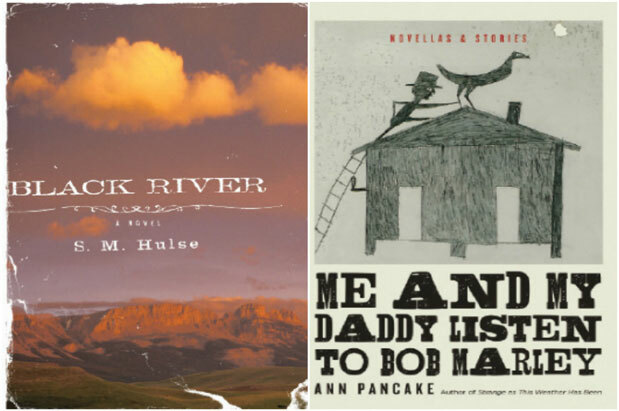 Hulse is a contemporary Western that has earned critical comparisons to the work of Larry McMurtry, Annie Proulx and Wallace Stegner—and deservedly so. Hulse uses spare language to craft a rich portrait of inland Northwest as a backdrop for the story of Wes Carver, a man who has just lost his wife to cancer. Carver journeys from Spokane to his hometown in Montana, where, as a corrections officer, he was maimed during a riot, and where his angry stepson awaits his mother’s ashes. Brimming with grief, guilt and the glorious relief music can provide. Much lauded Seattle-based writer Ann Pancake has a remarkable gift for bringing West Virginia (her childhood home) to life on the page. This new collection of short stories and novellas includes vivid tales of working-class folks living amid the devastation of a type of strip mining known as mountain top removal. She imbues her characters with powerful, poetic voices, and unspools each story—of misfortune, family loyalty, long-held secrets—with a mixture of tension and mystery that unearths many strata of emotion.